UPR Products is proud to carry BBK Performance Parts® for 1979-2016 Ford Mustangs and also for 1998-2016 Chevy Camaros Firebirds. 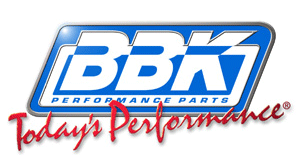 For almost twenty years, BBK has built quality performance parts that exceed that of the OEM manufacturer. We carry a host of BBK Products, such as: Cold Air Intake Systems, X-Pipes, Full Length Headers, Throttle Intake Systems, Strut Tower Braces, and Caster Camber Plates. All Applications are covered by full BBK manufacturers warranty and include detailed instructions for installation, with all the necessary gaskets and hardware included with your parts.